Secret writing is any means of written communication whereby a spy conceals the actual written text, whether it is enciphered/encoded or not. Codes and ciphers are sometimes mistakenly placed under the heading of "secret writing," but this is accurate only if that expression is taken in its most general sense, as writings that are concealed in any way. Whereas codes and ciphers conceal the meaning of a message, secret writing conceals the actual message. Techniques of secret writing include the use of invisible ink and carbon copies. Widely applied from ancient times until the early twentieth century, secret writing has been almost entirely eclipsed by more modern methods of concealing messages, such as microdots. An early example of secret writing. In his venerable History, Herodotus described a method of secret writing employed in the Persian Wars. As the Persian emperor Xerxes was preparing to march on the Greek city-states in 480 B.C. , a Spartan expatriate name Demaratus learned of the plans and contrived to warn his compatriots. The problem was how to do so in such a way that the Persians themselves would not intercept the message, a challenge for which Demaratus contrived a clever solution. As Herodotus recorded, Demaratus scraped the wax from a pair of wooden tablets, wrote his message on the wood beneath, then poured hot wax onto the tablets again. Of course the Spartans lacked the advantage of knowing that they were receiving a secret message, but according to Herodotus—who qualified his claim with the caveat "as I understand [it]"—Gorgo, the daughter of a citizen named Cleomenes, received a divine revelation. Thanks to the intervention of the gods, the Spartans realized that they had simply to scrape off the wax and read the message written on the wood beneath it. The Greeks thus began to prepare for the coming invasion, and routed Xerxes's navies at Salamis. Invisible ink. One form of secret writing known to many children from school projects is invisible ink. This technique uses an acidic citrus juice, of which lemon juice is most often the preferred choice because it dries without leaving any evidence it has been applied. The juice takes the place of ink, and is applied using a fine stylus (a tool for which an ordinary toothpick will suffice). After the juice dries, the acid remains on the paper, which it weakens, and therefore the message is readily exposed when heat is applied to the paper. Other liquids for invisible ink include milk, which is mildly acidic, as well as white wine, vinegar, or apple juice. In the past, prisoners of war have used their own sweat, saliva, or even urine, all of which contain acidic secretions that adhere to the paper, weakening it, even after the water in those bodily fluids has evaporated. A slight variation on this technique is the use of a baking soda and water mixture as the invisible ink, and, after drying, applying grape juice concentrate with a paint brush. The acid in the grape juice reacts with the baking soda (a base or alkali in chemical terms), exposing the message. Carbon copies. During the late nineteenth and early twentieth centuries, carbon copies provided a means of secret writing. This method, which was even used by the Central Intelligence Agency (CIA) in its early days, involved a means not unlike the one still used today when signing a credit-card receipt. The back of the receipt is impregnated with graphite, a carbon allotrope (a version of a chemical element distinguished by molecular structure) also used in pencil lead. Therefore, when one signs the front of the receipt, the pressure transfers the graphite to the second page, leaving an impression as though one had written on it in pencil. The CIA version of this technique involved paper containing a special chemical that would be invisible when transferred to the second sheet. This made it possible to inscribe secret writing on the back of an envelope, which could be mailed to the agent through ordinary channels. Using water or heat, the message could then be developed and read. Secret writing today. The use of secret writing has declined since the middle of the twentieth century for several reasons, most important of which is the sheer volume of data that intelligence services must transmit and process. This has prompted the use of more efficient means for concealing information without having to write it out by hand. One such means was the microdot, or miniaturized photographic image. First used in the mid-1800s, micro-dots remained popular among intelligence services through the 1960s, their use aided by the development of microdot cameras. authorities claimed that a Russian Defense Ministry employee had passed information to CIA using invisible ink. Gardner, Martin. Codes, Ciphers, and Secret Writing. New York: Pocket Books, 1974. Zim, Herbert Spencer. Codes and Secret Writing. New York: W. Morrow, 1948. Ingram, Judith. "Russia Accuses U.S. of Espionage." Chicago Sun-Times. (April 11, 2002): 27. 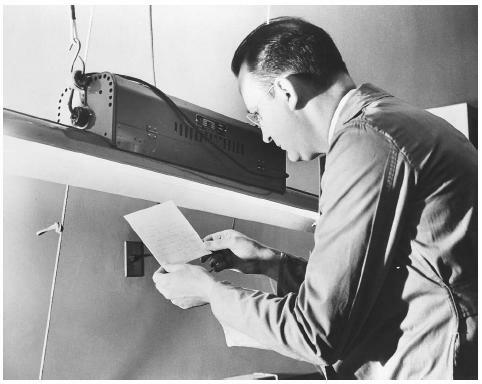 Lardner, George, Jr. "Panel Proposes Tougher Laws against Espionage." Washington Post. (May 24, 1990): A16.